Made with simple ingredients, this Potato Soup is nutritious, flavorful and perfect for busy weeks! I realize that some of you may be approaching the end of soup weather, but it’s been raining here for pretty much 5 days straight and to me, rain = soup weather. Plus, I happily eat soup year round, but that’s a whole other thing. Anyways, I wanted to pop in and share this Potato Soup recipe with you guys because I’ve made it several times over the past few weeks. When I first made this soup, I intended to just make it with white potatoes, but I didn’t have enough of them so I had to throw in a sweet potato. It ended up turning out well so I keep making it like that, but you could use all white potatoes or all sweet potatoes if you wanted to! This potato soup is made with two kinds of potatoes and makes a great, nutritious option for lunch or dinner! In a large dutch oven or pot, saute bacon, peppers, onions and potatoes for 5-7 minutes over medium heat. Add broth and milk and bring to a boil. Reduce heat and let simmer until potatoes are tender (15-20 minutes). Use an immersion blender (or regular blender) to puree. Feel free to leave some chunks if you’d like. Add cheese and spices and stir until melted. You could easily make it vegetarian by omitting the bacon, but I think it adds great flavor! Enjoy this simple Potato Soup from @leangrnbeanblog for a quick lunch or dinner! PS. 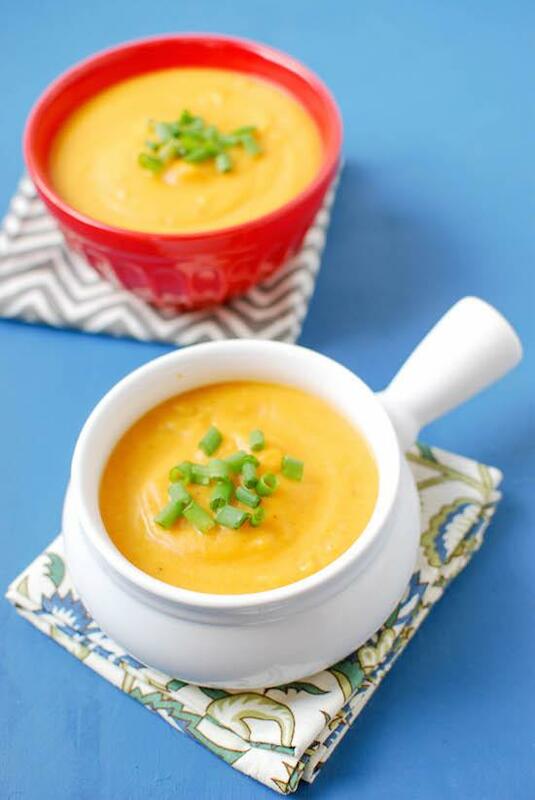 If you like sweet potatoes, be sure to check out my favorite Curried Sweet Potato Soup! Ohhh I like the idea of doing white potatoes andddd sweet potatoes! I agree… rain=soup for sure. I love that you added sweet potato in with the white potatoes! The flavors just sound fantastic in this soup. And I agree. Rainy days=perfect soup weather. So. much. rain. Bring on the soup. I love potato soup. I buy the organic canned, but they have so much sodium in them. I’m going to try your recipe. Oh good that was my first question…if I could make it with sweet potatoes. I think that would make it irresistible for me. I also bought a giant bag from Costco yesterday so I need to use them up! Thanks for sharing! There is never a time that soup doesn’t sound good – and this looks delicious! I love potatoes and I love soup! Great recipe! 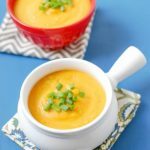 Yay I’m not the only one still posting soup recipes! With all this rain I don’t think anyone can blame us. I love a good thunderstorm but it also makes me want soup. I like that you used two different kinds of potato. I bet the sweet potato added great flavor without being crazy overpowering. 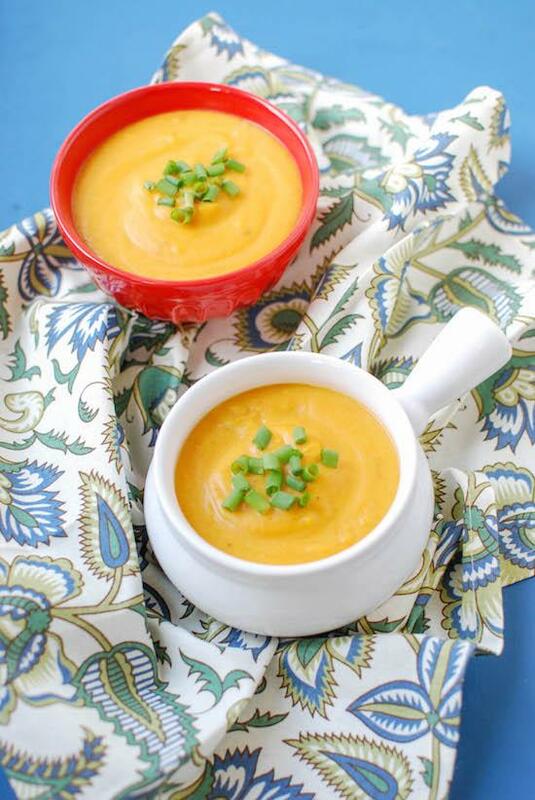 Although now I am curious to try sweet potato soup! Potato is one of my favorite soups! I love that this recipe includes a sweet potato. I’ve been doing a similar soup with sweet potatoes, carrots and sausage. So delicious!